Fireman malayalam movie to be directed by Deepu Karunakaran featuring Mammootty in lead would start rolling at Thodupuzha from 10th October 2014. The actor would play a fireman who protects the life of the villagers at a gas tanker accident. 'Fire Engine' will be produced by Milan Jaleel under the banner of Galaxy Films. This action thriller would give yet another challenging time for the megastar. Megastar Mammotty who has given much importance in selecting variant roles is gearing up to don yet another avatar in his next outing. Titled 'Fireman', the movie zooms in the life of a fireman who protects the life of the villagers at a gas tanker accident. This action thriller produced by Milan Jaleel under the banner of Galaxy Films will kick start at Thodupuzha from 10th October 2014. If sources are to be believed, Mammootty would play an entirely different and challenging character not done his 30 years long acting career. Even though, his previous ventures could not bring huge success at the box office, the filmmakers trust the actor for his huge star value and satellite rights. His just recent releases 'Munnariyippu' and 'Rajadhi Raja' could gather positive reports from the box office. Much interestingly 'Munnariyippu, a classic is still running successfully in the theatres. As a movie themed around the life of a fire extinguisher has not made in malayalam, the project has grabbed attention of the online users. Deepu who has created his own space in the malayalam film industry through his earlier ventures like 'Crazy Gopalan' and 'Theja Bai' has high plans about his future in the field. Learned much from the past, Deepu is expected to deliver a visual delight for the movie enthusiasts with his new project 'Fire Engine'. Mammootty who has recently packed up the shooting of Ranjith Shankar's 'Varsham' has committed projects including established and new filmmakers. His upcoming ventures include 'Rascal', 'Dance Dance' and 'Driving License'. 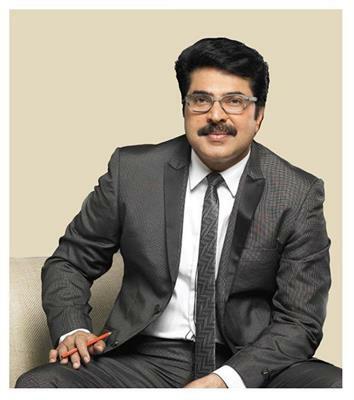 After the shooting schedule of 'Fireman', Mammootty will join the set of 'Dance Dance' directed by Johny Antony. 'Rascal' to be helmed by Siddique is a comic crap which would start rolling from December and reach theatres by next Vishu. The movie is produced by Mammootty himself through his own production company Play House. He has also committed 'Driving License' directed by Jean Paul.